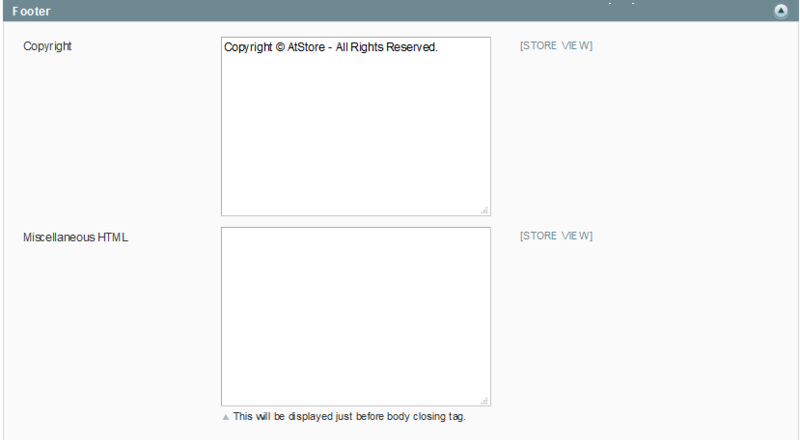 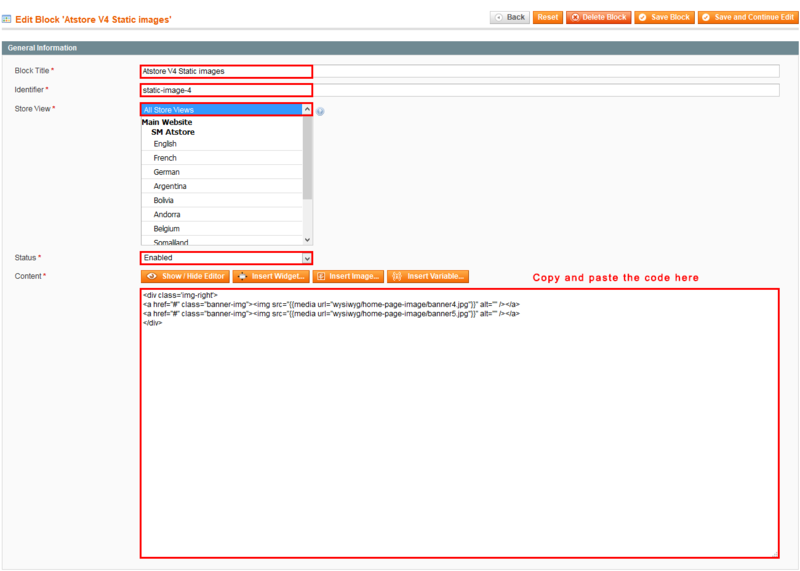 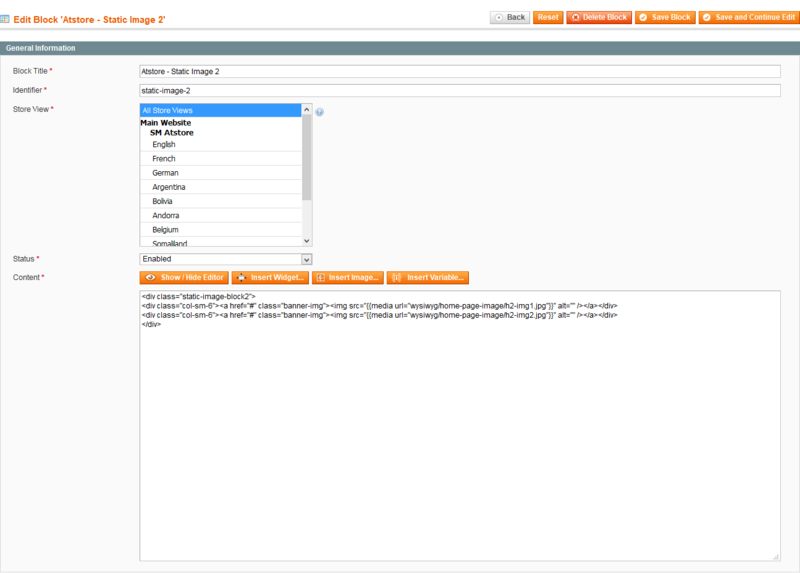 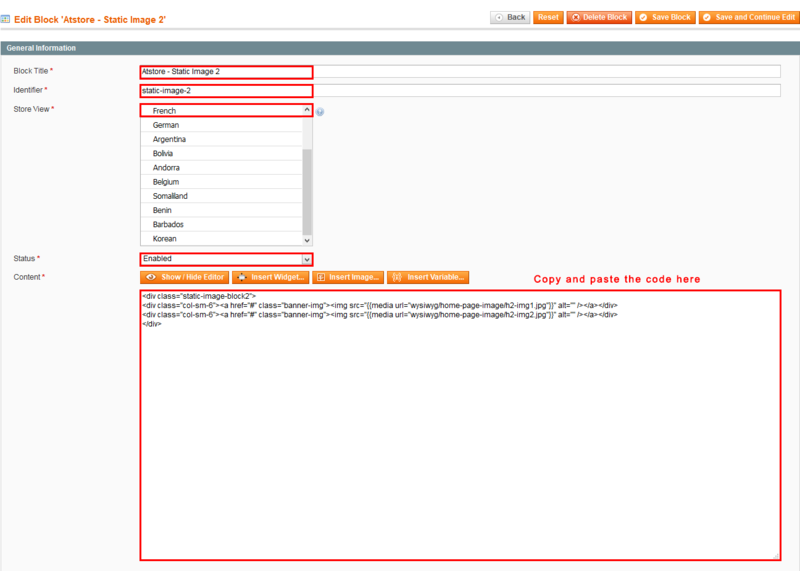 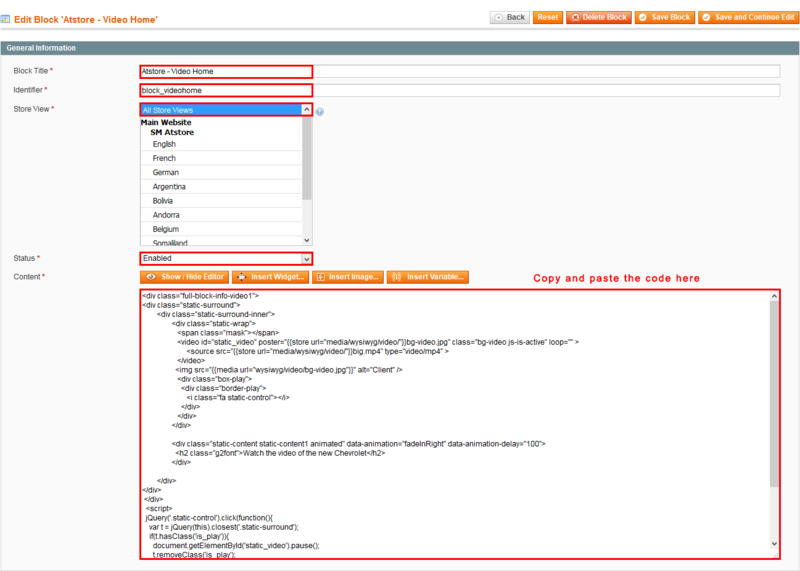 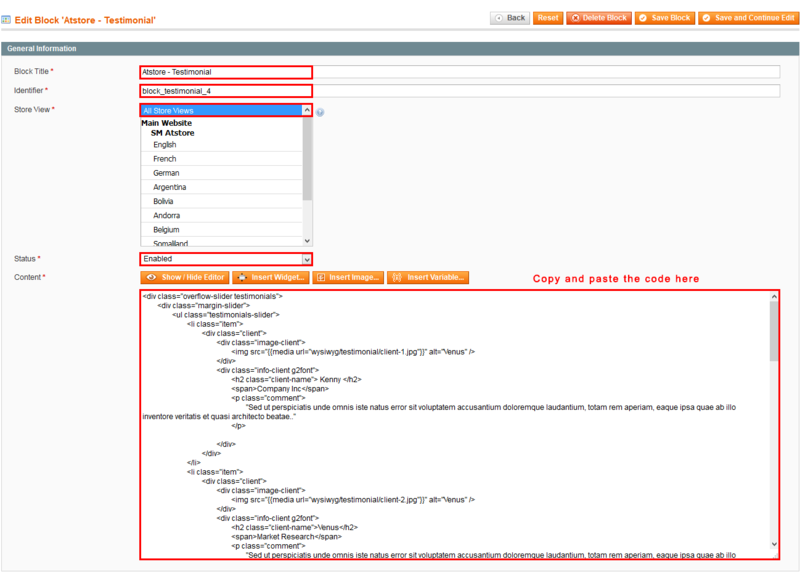 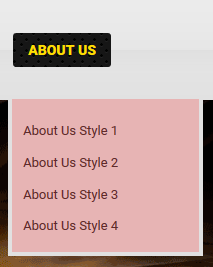 Step 1: Please unzip “sm_atstore_theme.zip” file and upload folders skin; media;lib;js;app from the theme package to the root of your Magento site folder on your server. 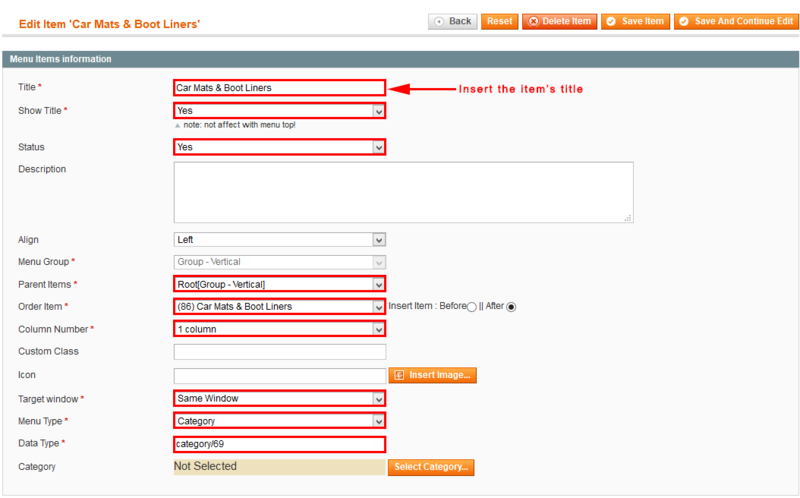 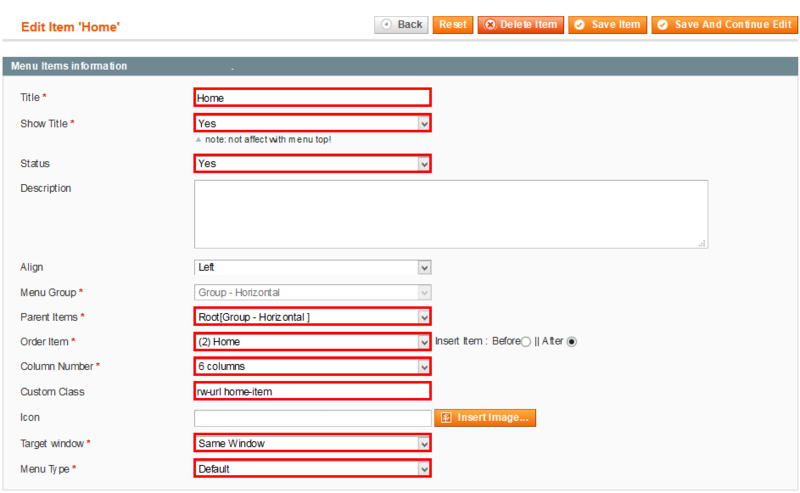 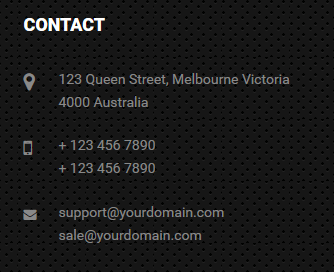 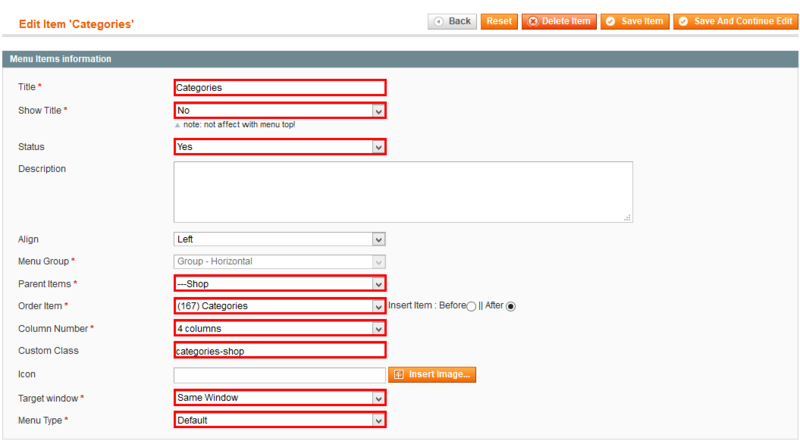 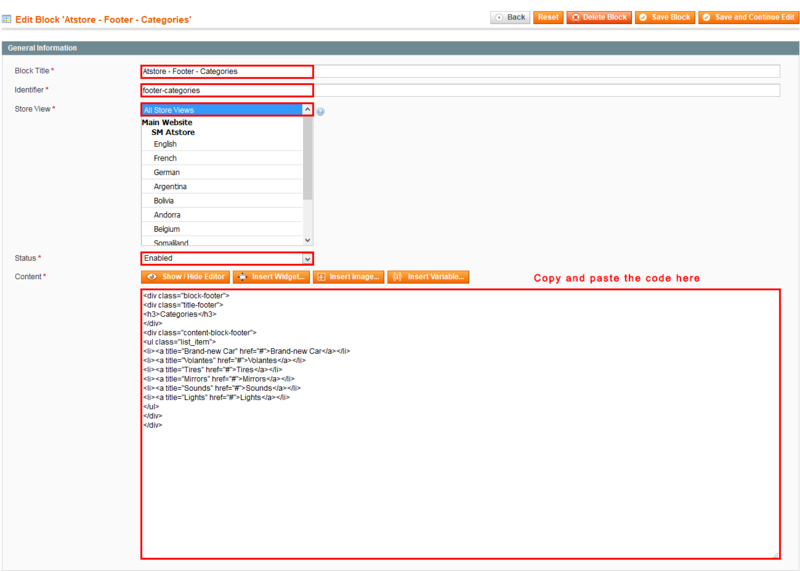 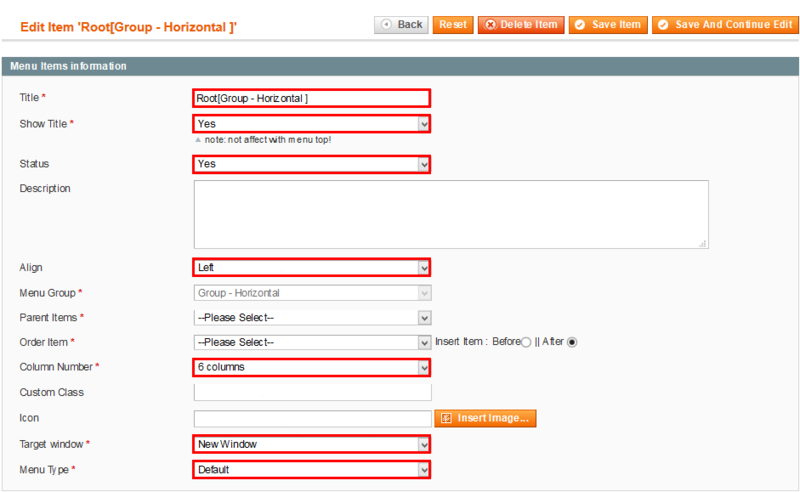 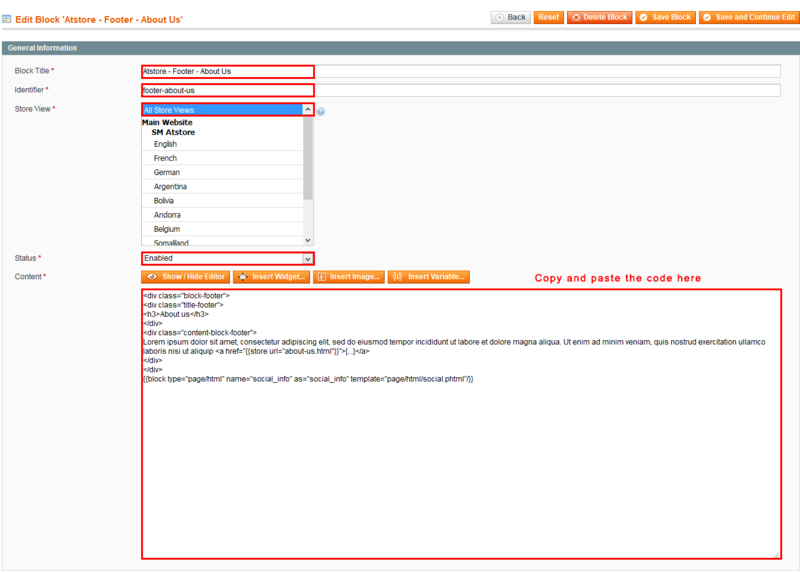 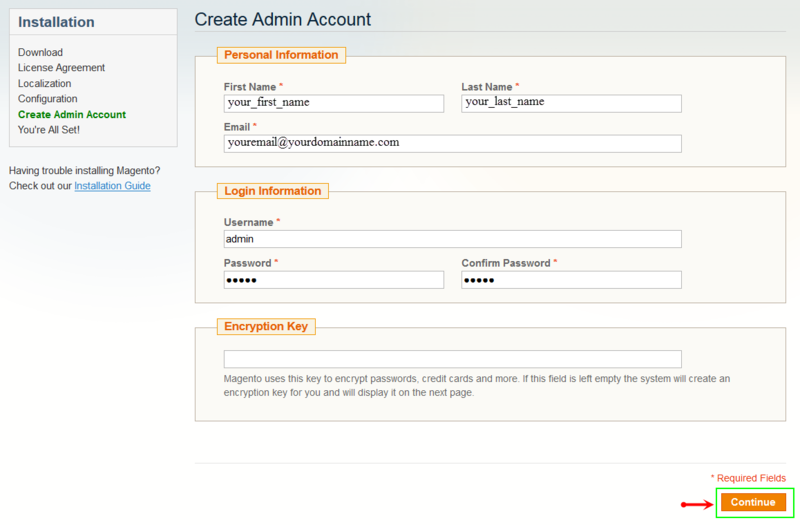 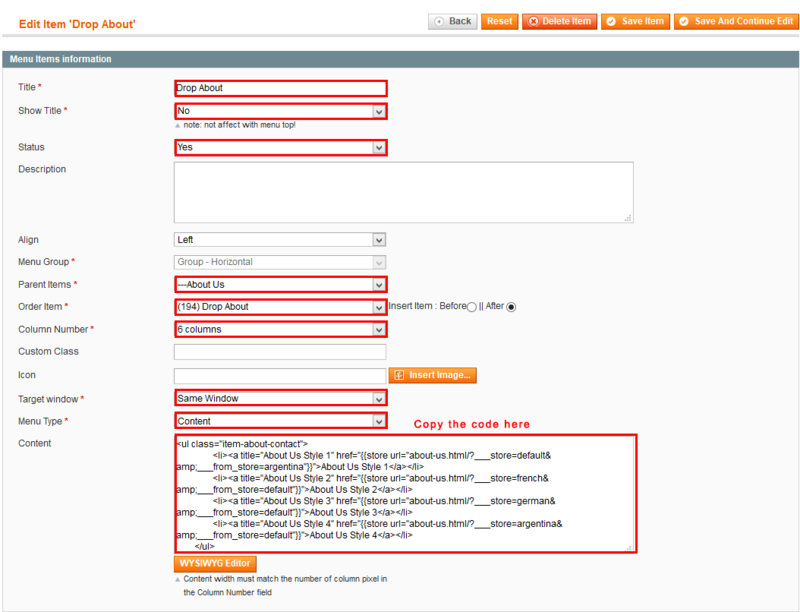 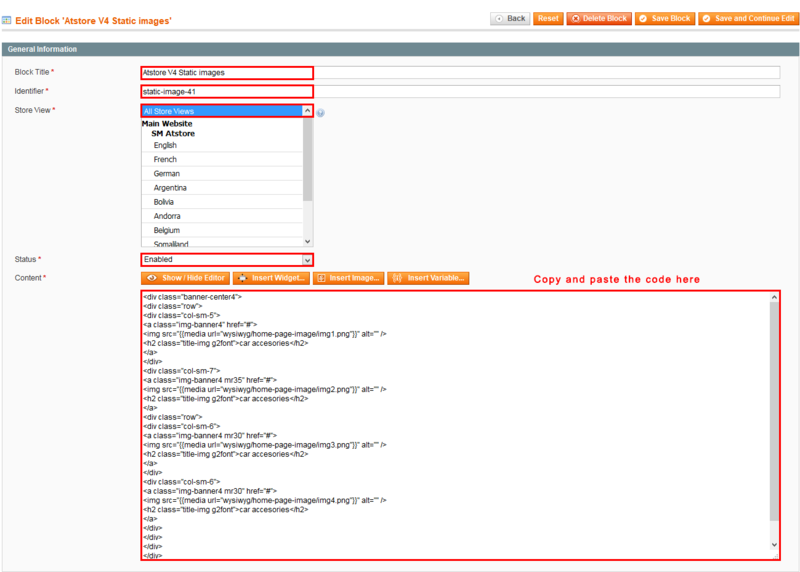 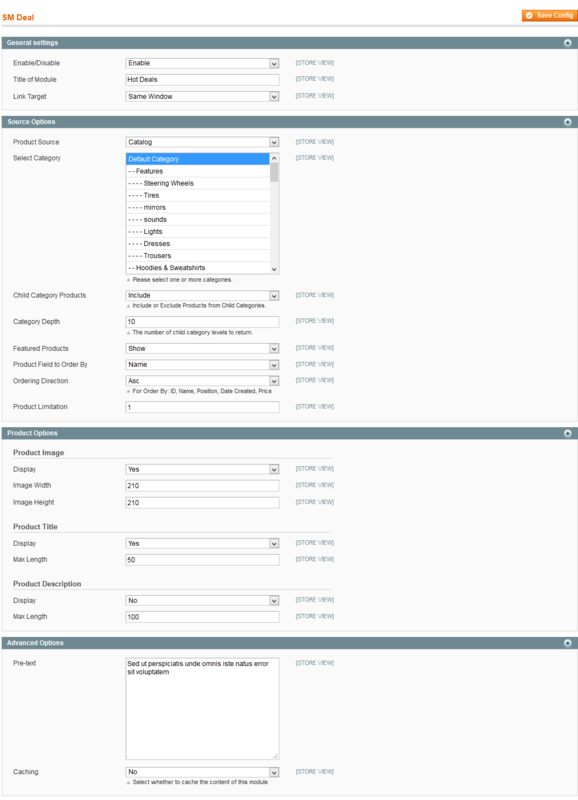 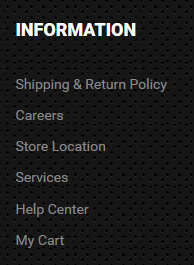 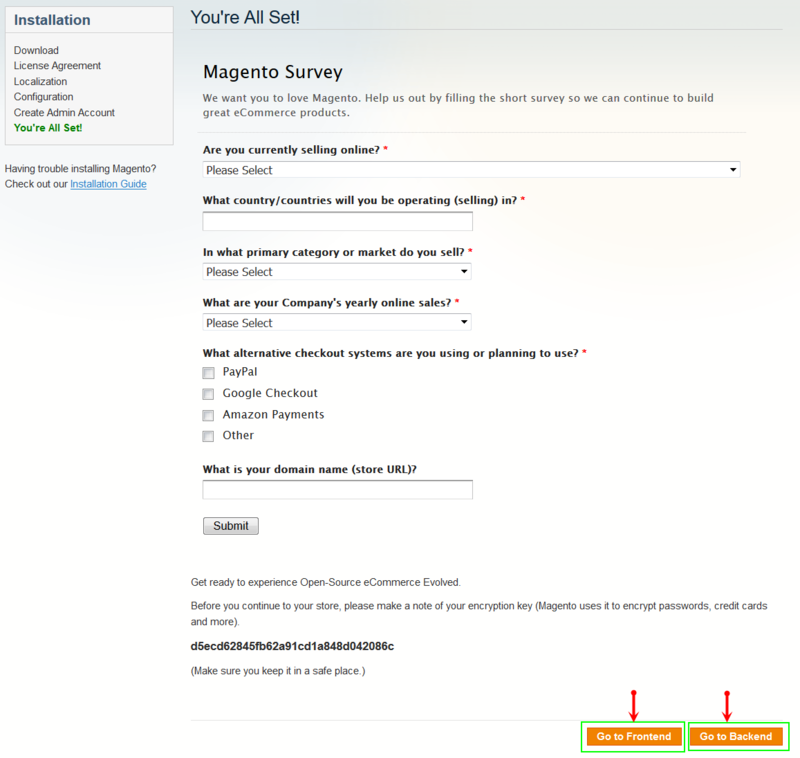 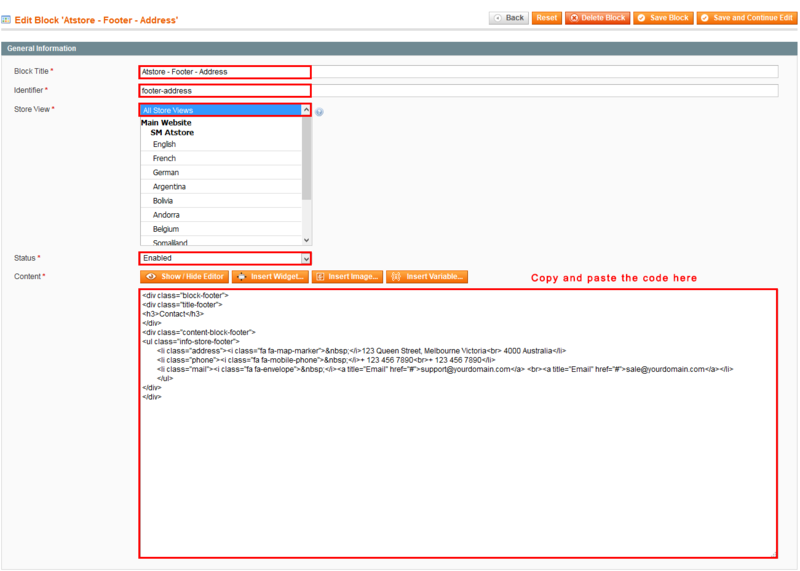 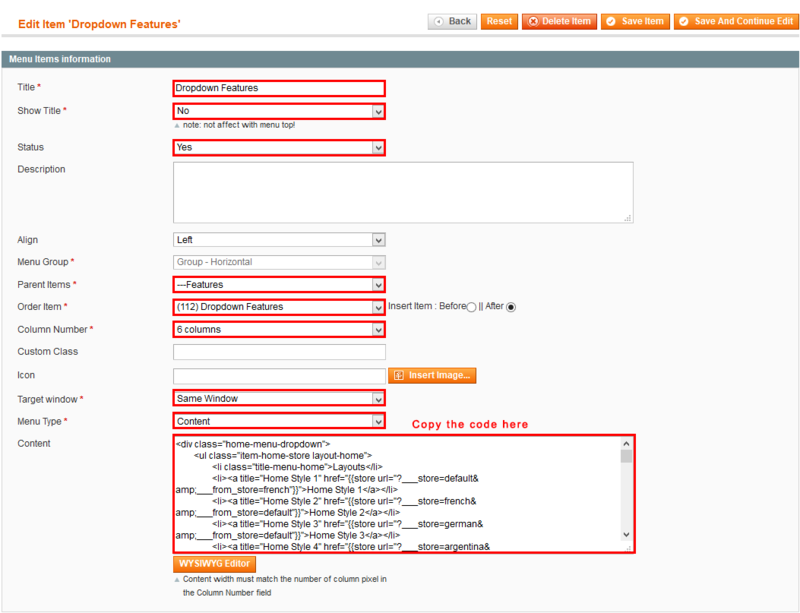 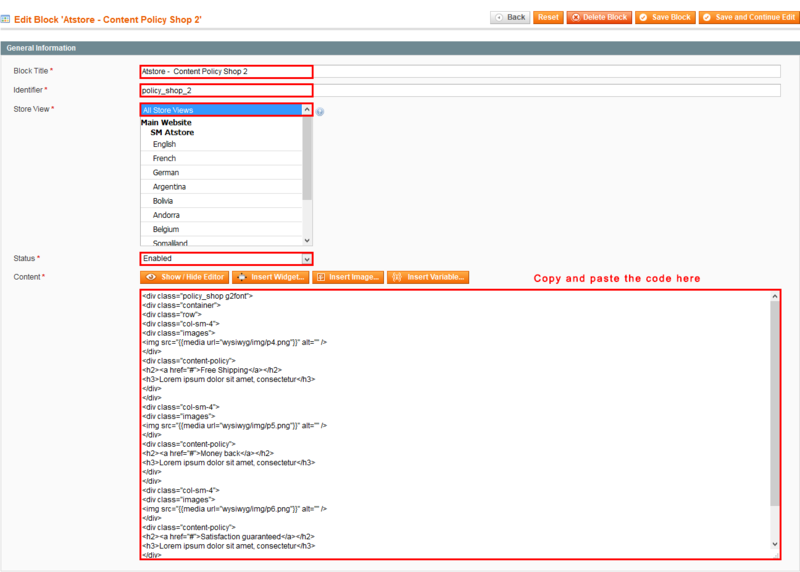 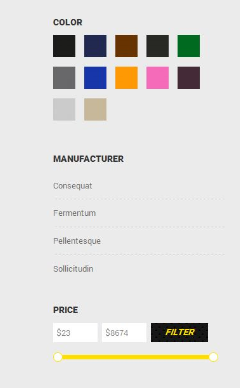 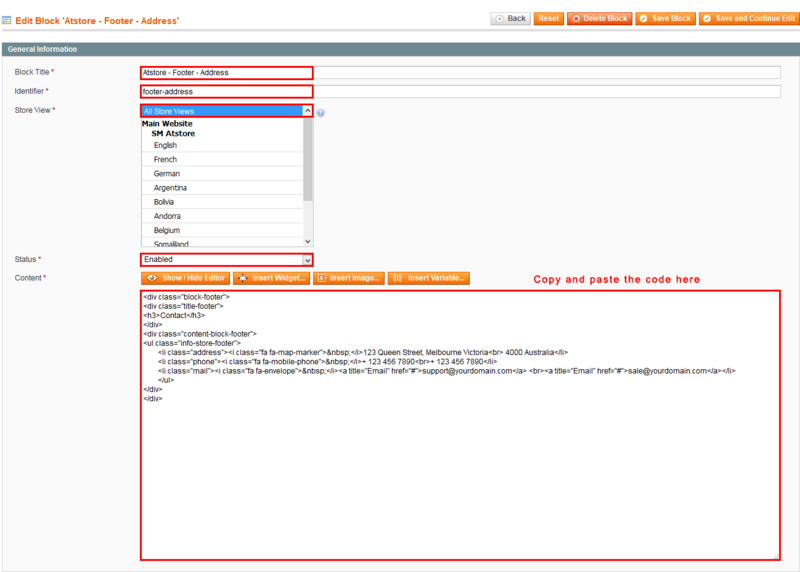 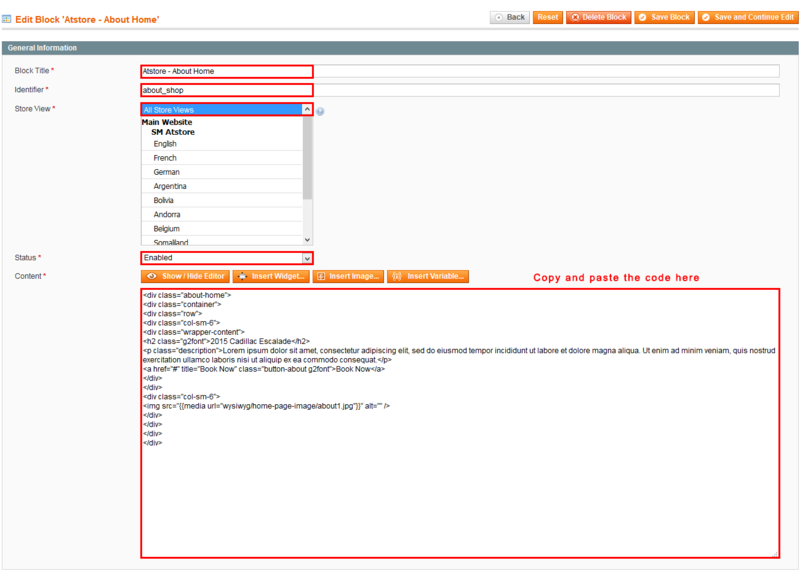 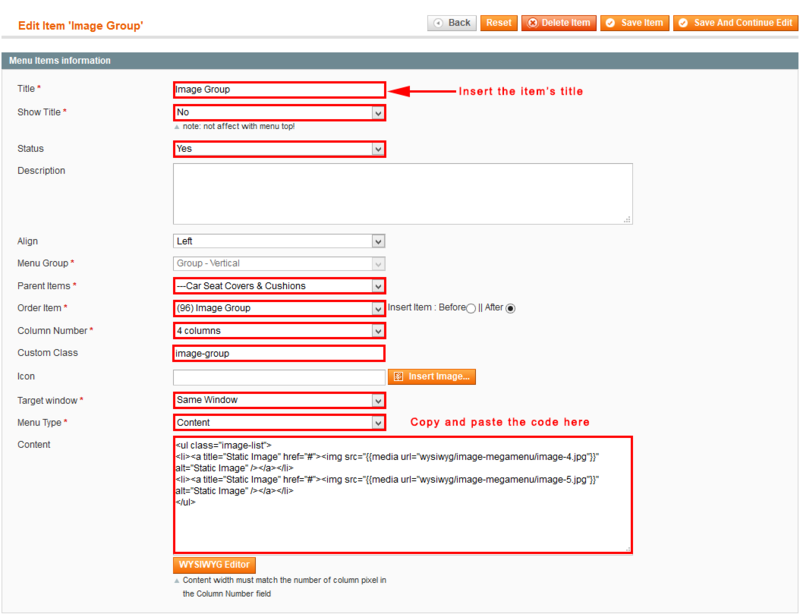 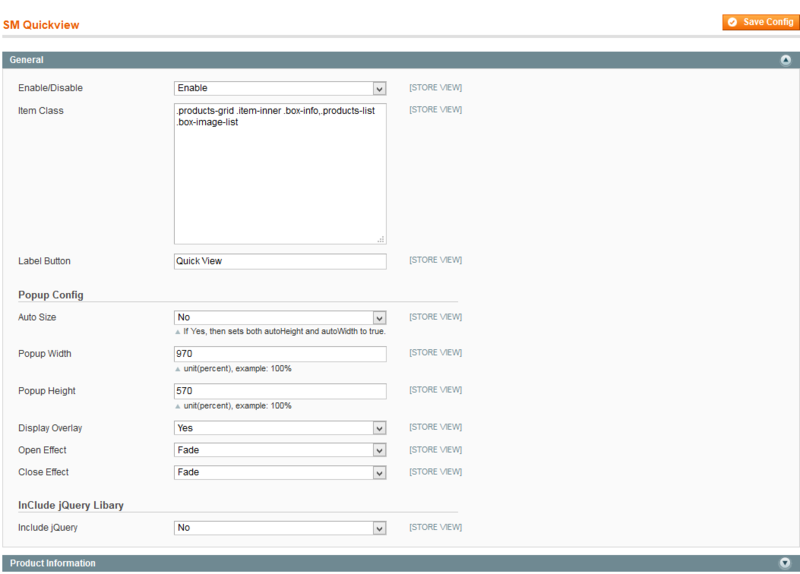 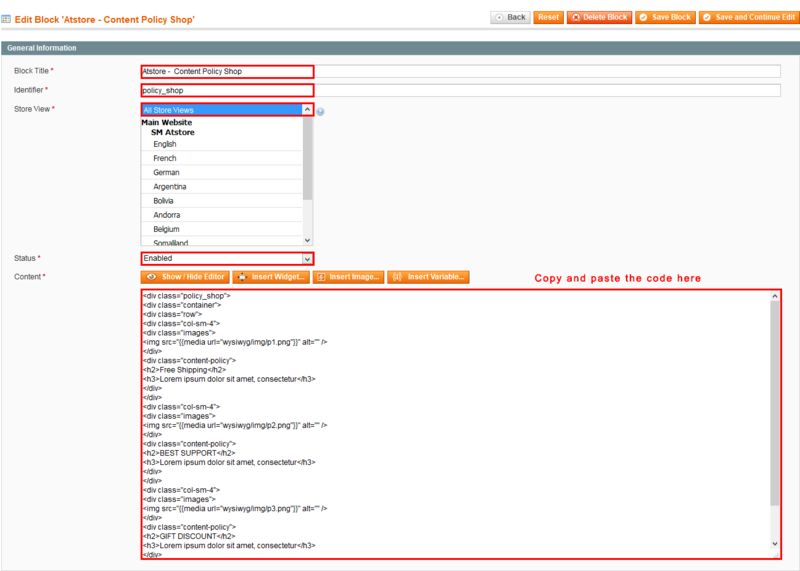 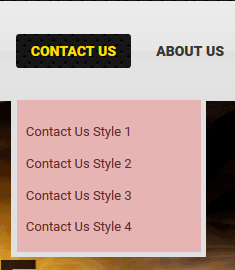 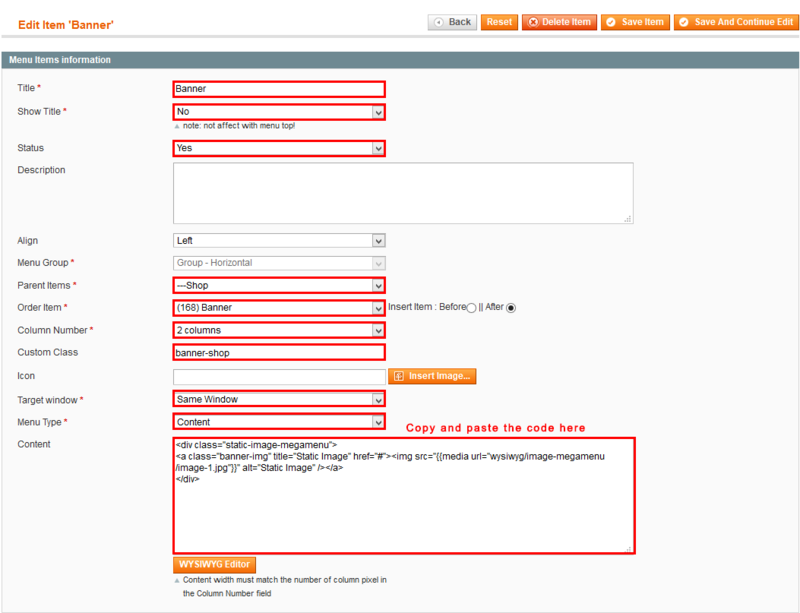 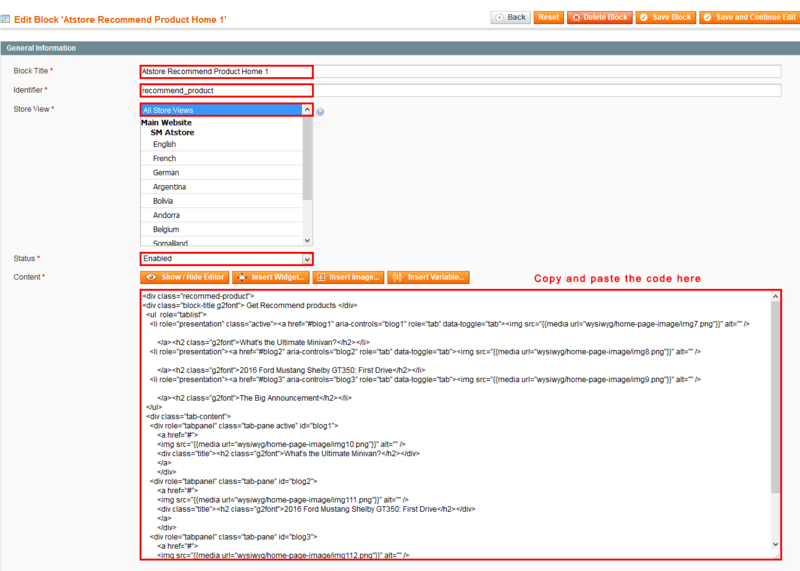 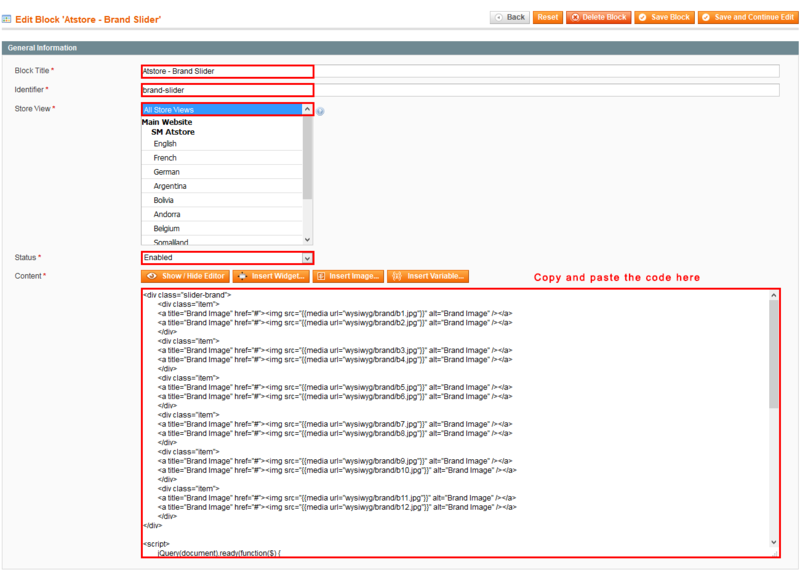 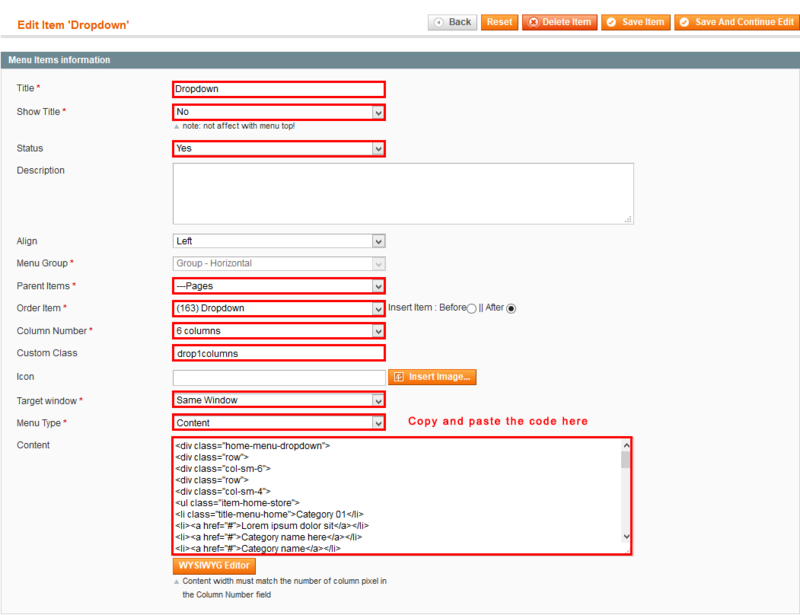 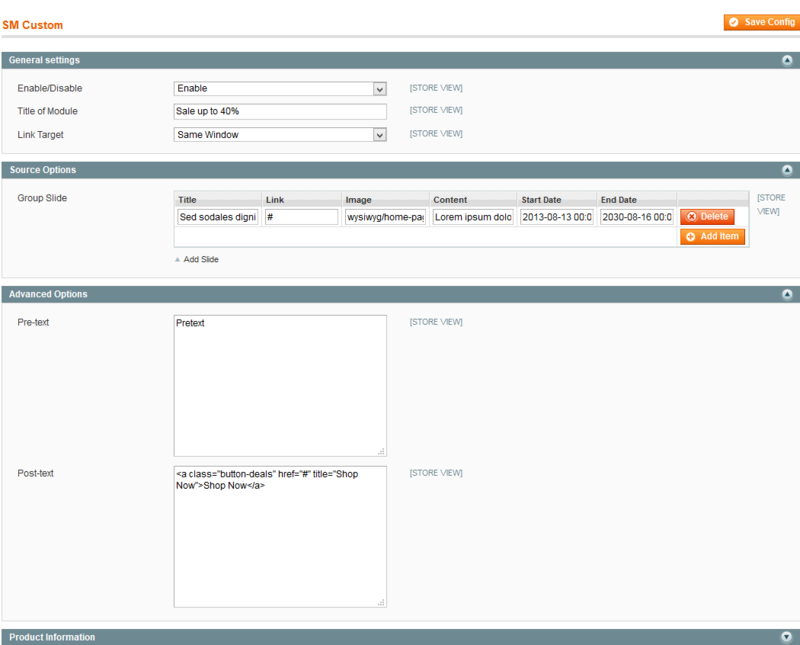 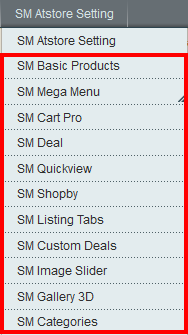 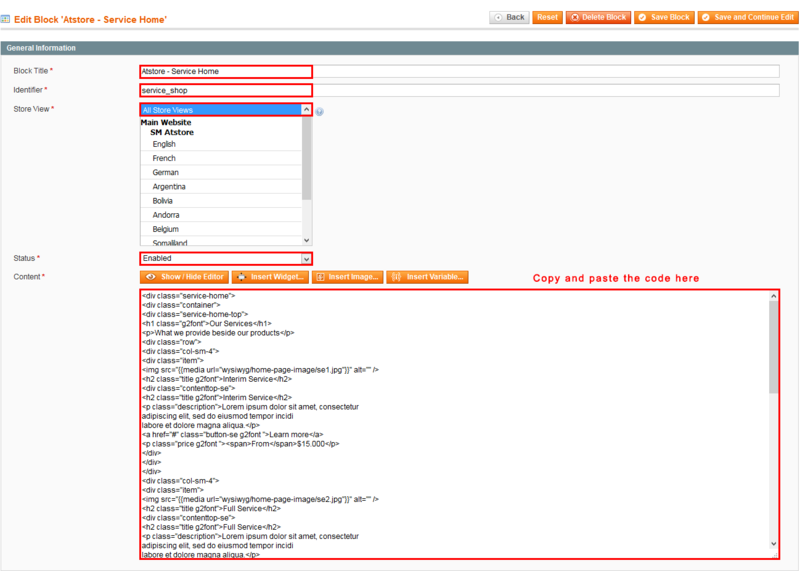 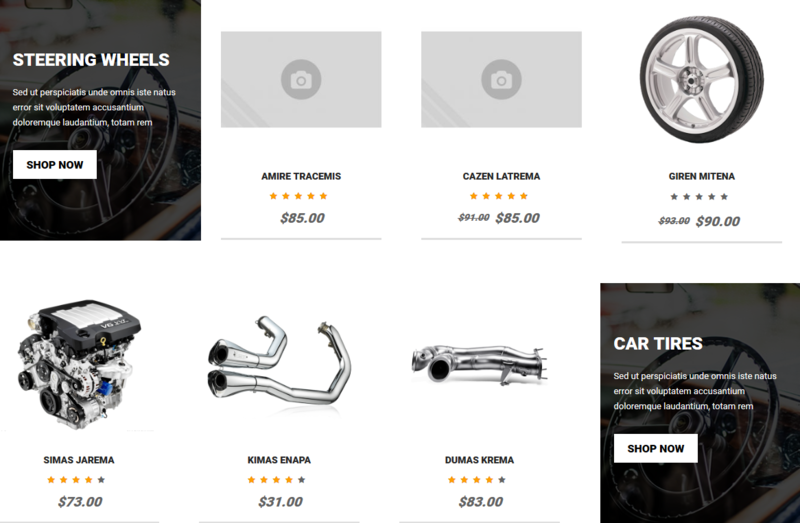 Configure SM ATStore General Setting Theme In Magento admin panel, navigate to SM ATStore Setting and configure theme as you want. 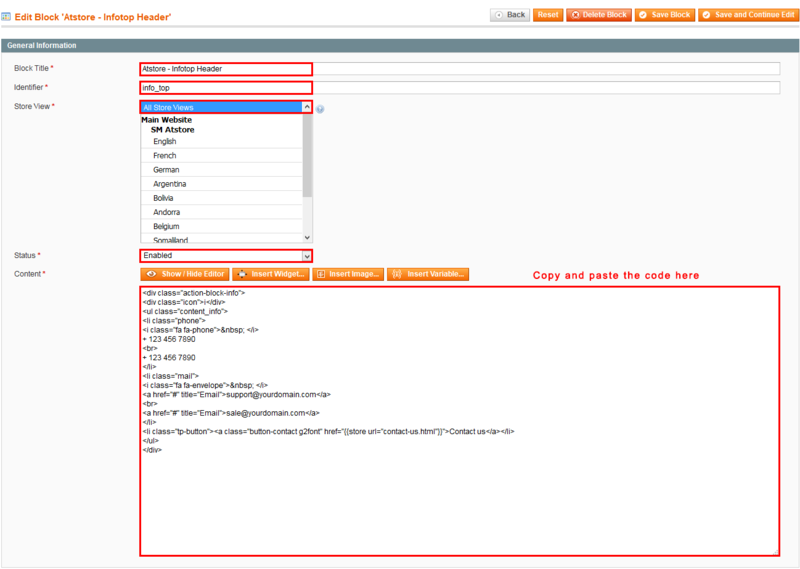 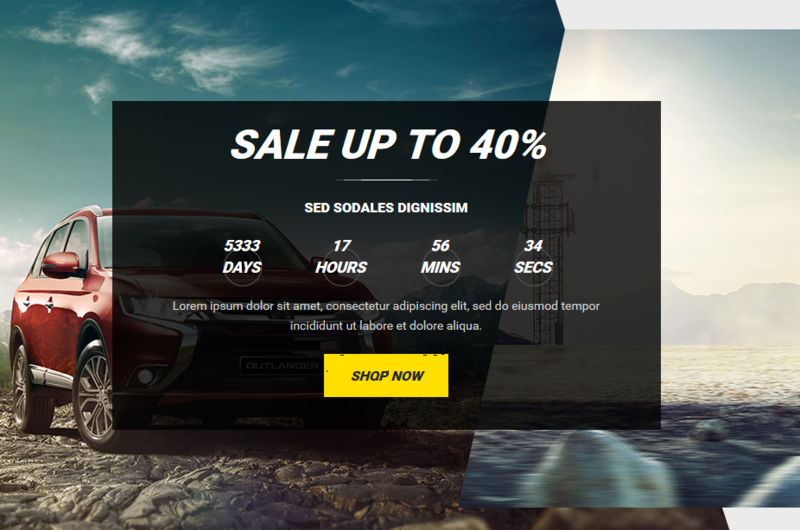 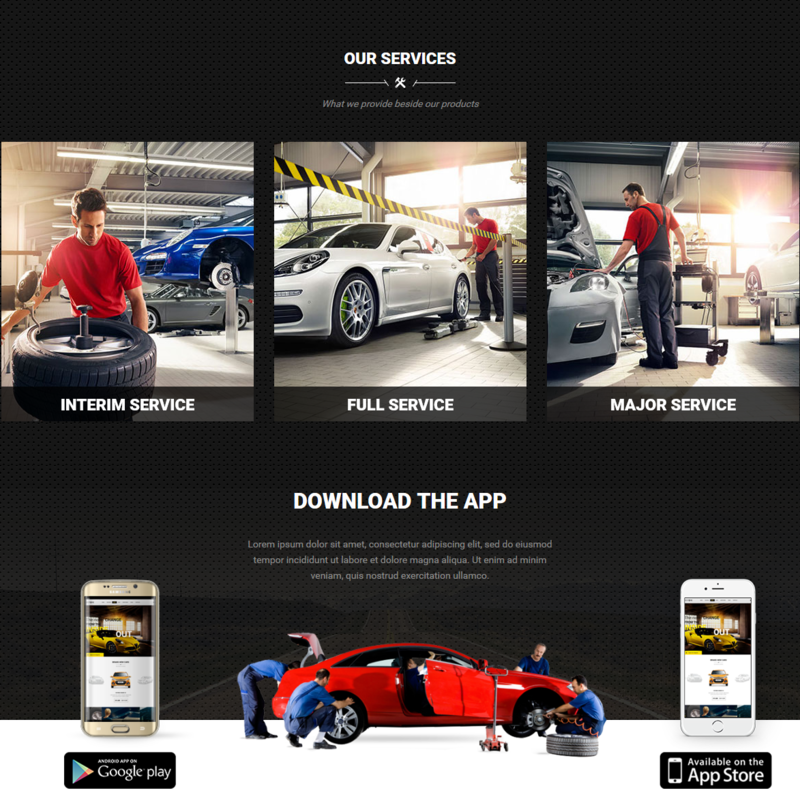 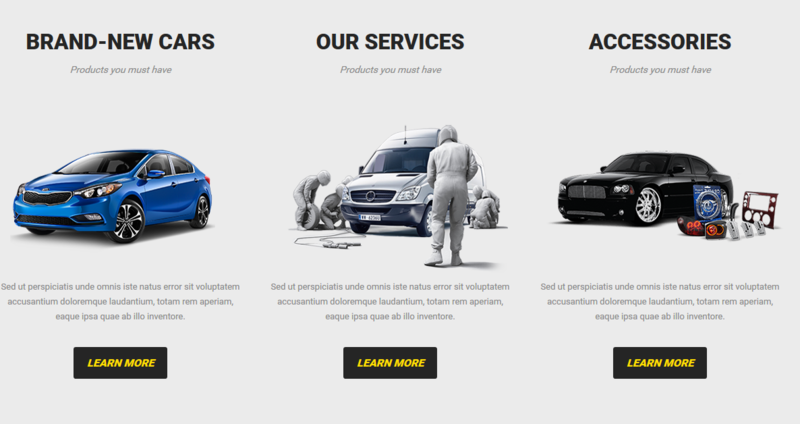 Backend of ‘Banner’: Please click Here to view. 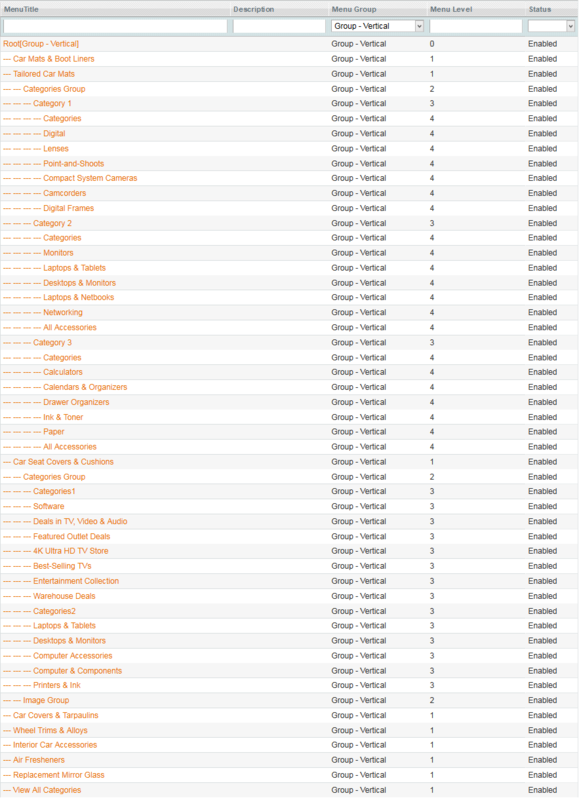 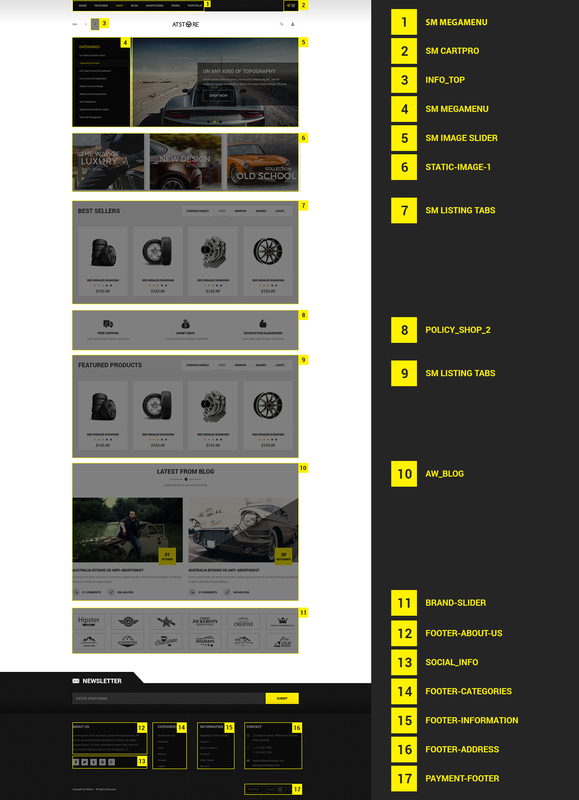 Backend of ‘Men Collection’ in the ‘Categories’: Please click Here to view. 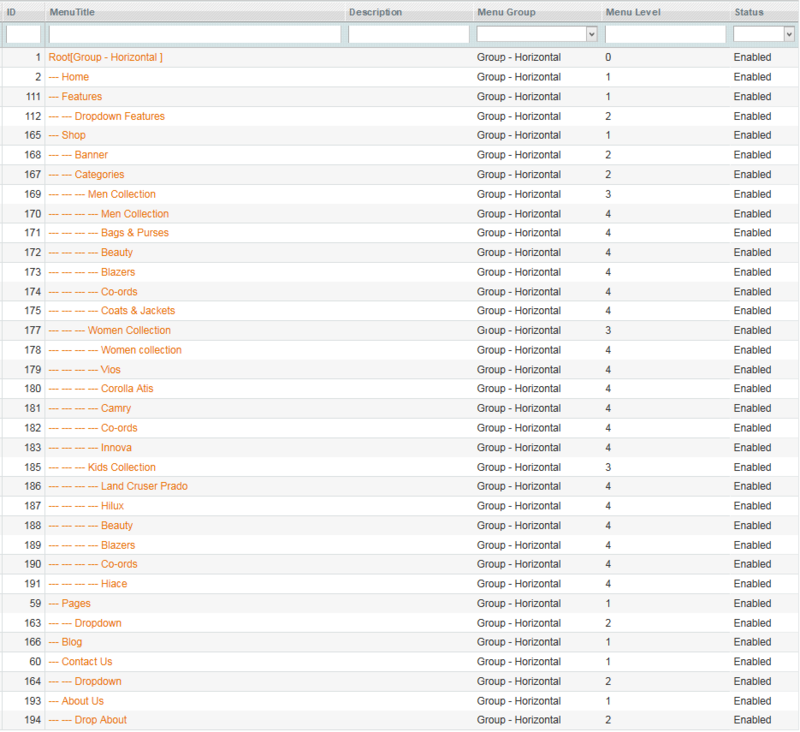 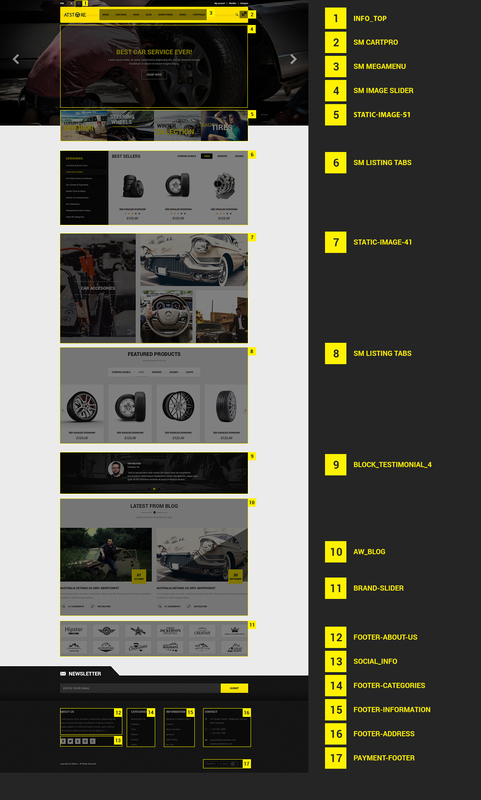 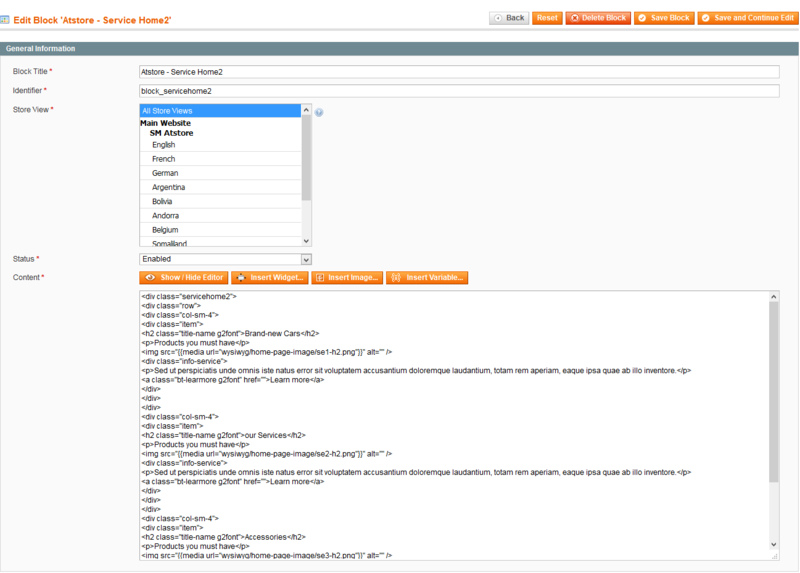 Backend of ‘Men Collection’ in the ‘Men Collection’: Please clickHere to view. 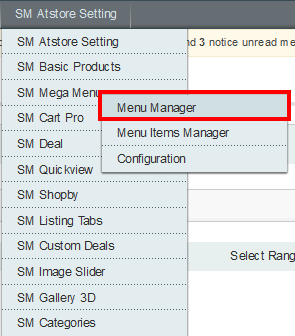 Note: Other items in Shop Menu having the same menu level would have same configuration. 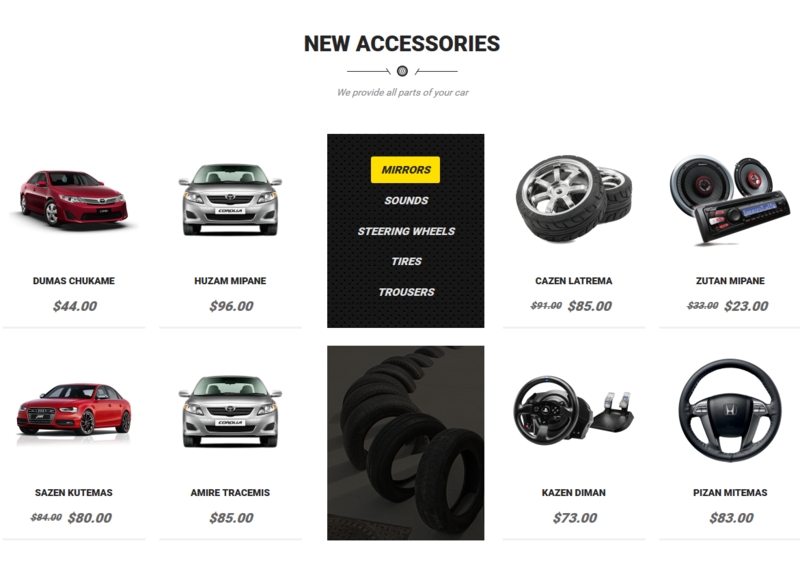 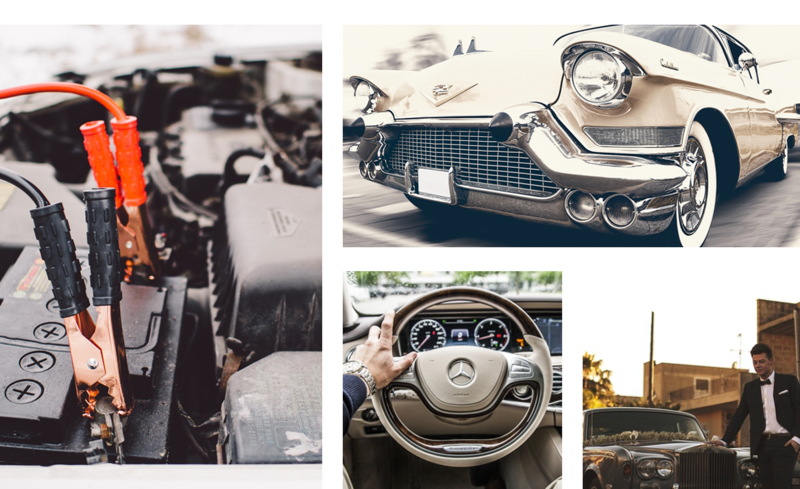 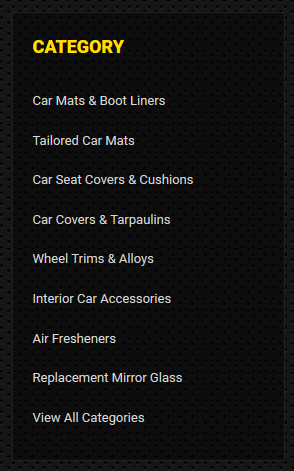 Note: The following items having same menu level (Level 1) as item ‘Car Mats & Boot Liners’ could have the same configuration: Car Covers & Tarpaulins, Wheel Trims & Alloys, Interior Car Accessories, Air Fresheners, Replacement Mirror Glass, View All Categories. 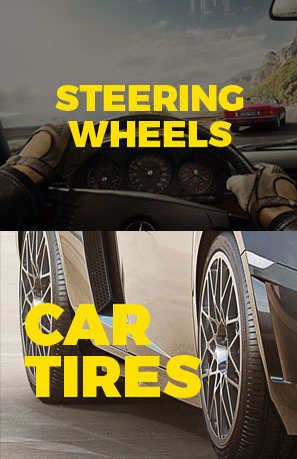 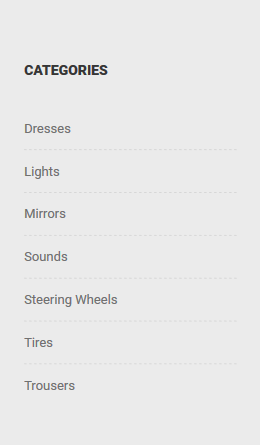 Note: In Tailored Car Mats Menu, the items having same menu level (Level 3) as item ‘Category 1′ could have the same configuration. 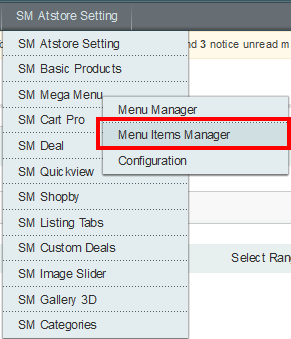 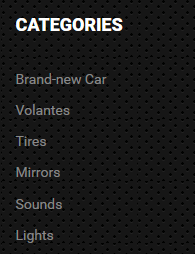 Note: In Tailored Car Mats Menu, the items having same menu level (Level 4) as item ‘Categories’ could have the same configuration. 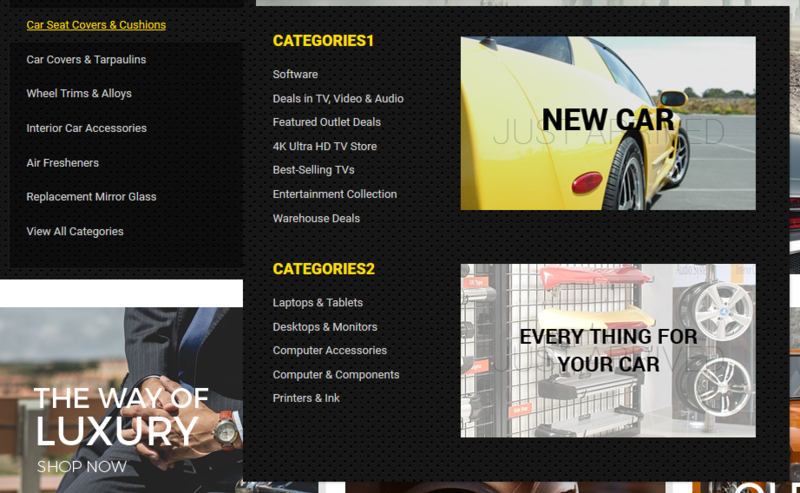 Backend of ‘Categories 1′ in the ‘Categories Group’: Please click Here to view. 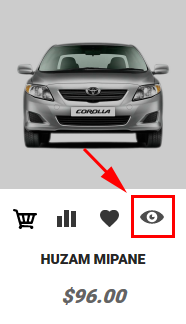 Note: In Car Seat Covers & Cushions Menu, the items having same menu level (Level 3) as item ‘Category 1′ could have the same configuration. 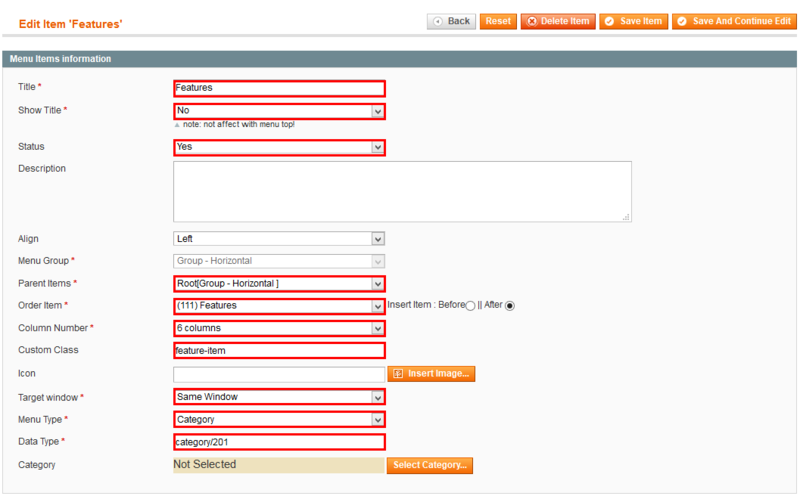 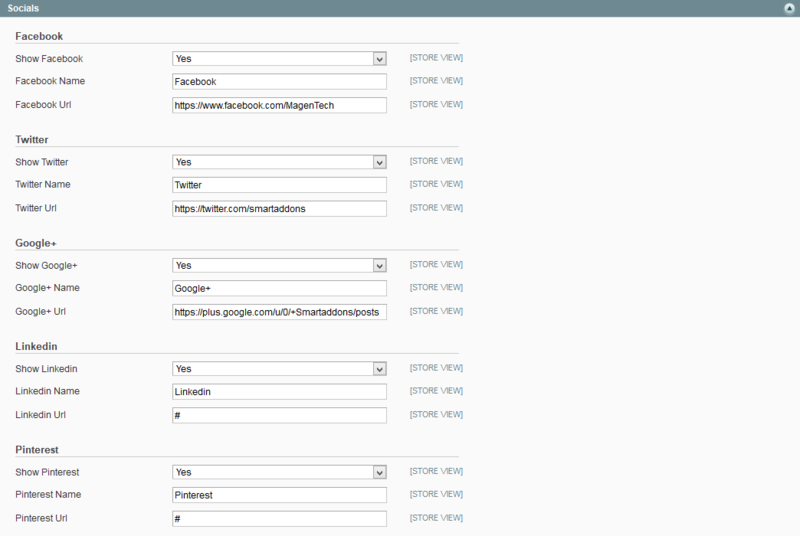 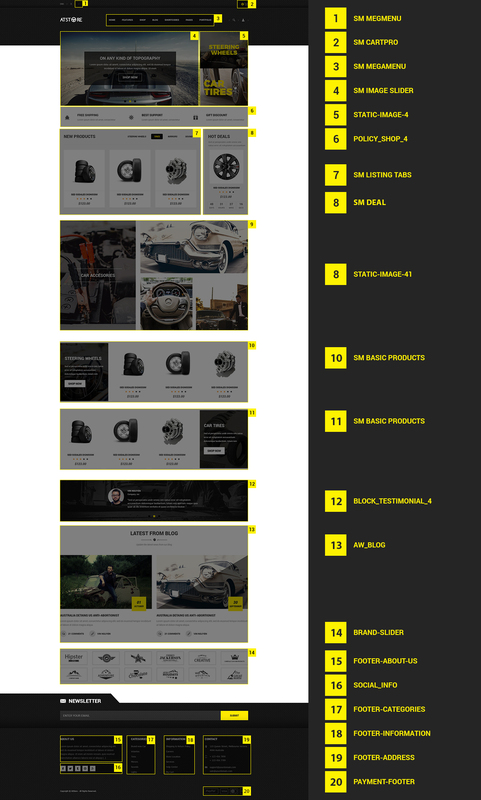 Backend of ‘Categories 2′ in the ‘Categories Group’: Please click Here to view. 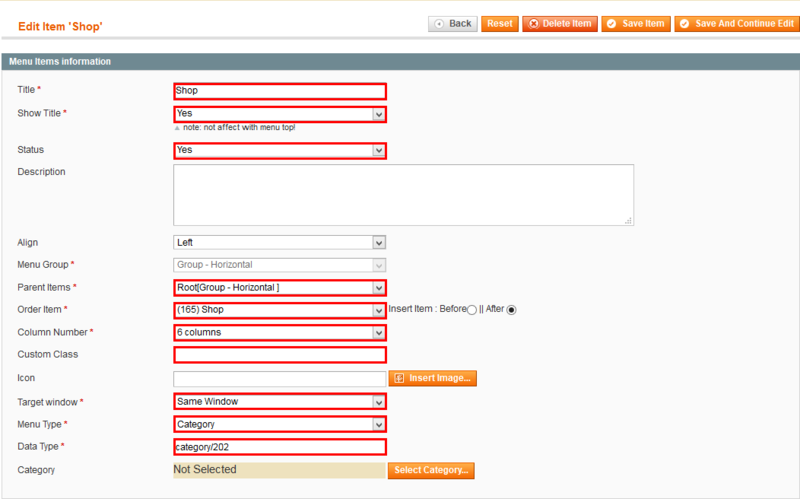 Backend of ‘Image Group’ in the ‘Categories Group’: Please click Here to view. 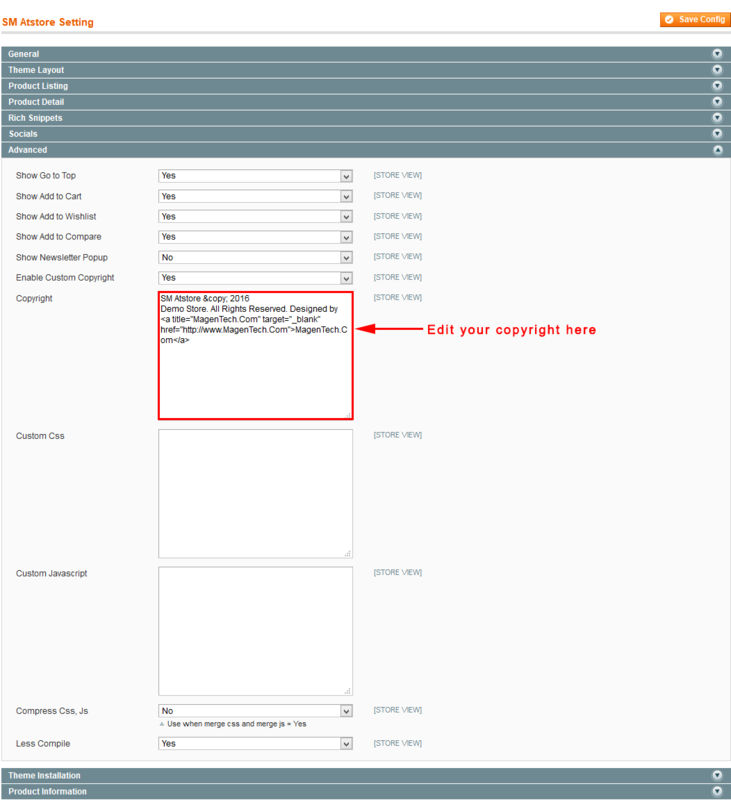 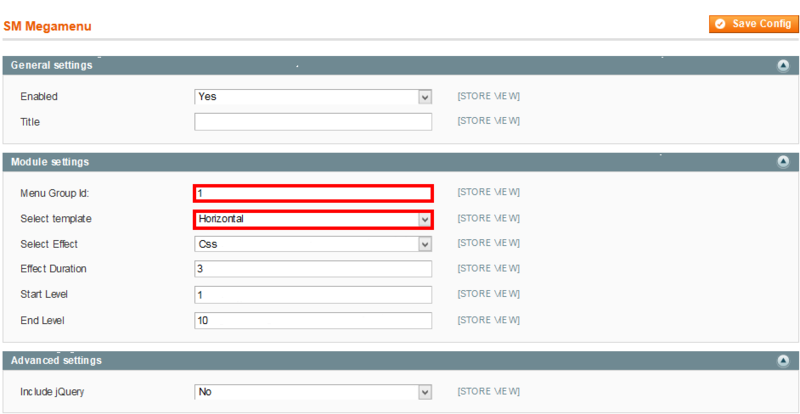 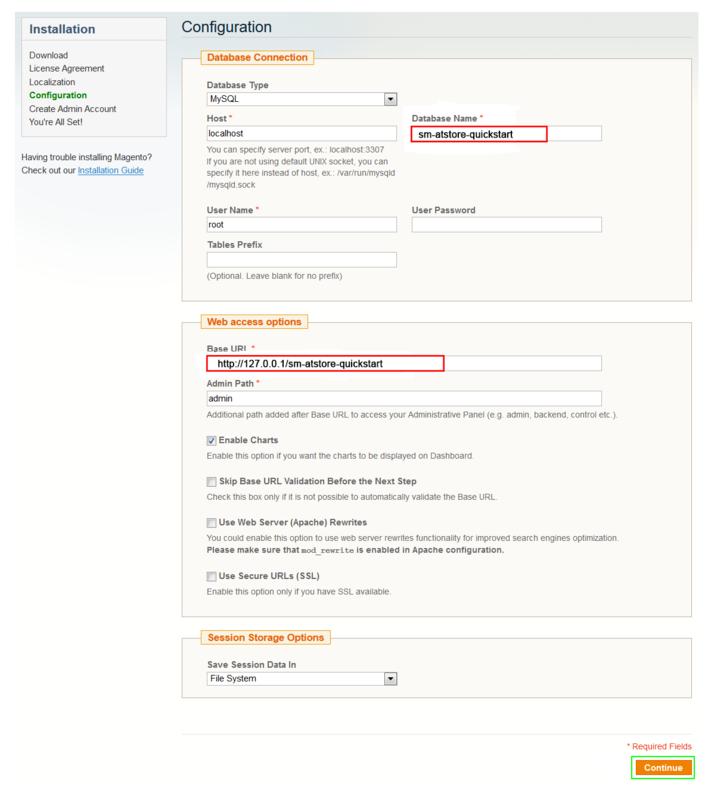 In SM ATStore Administration Page, please navigate to SM Atstore Setting field (in the right hand column, below the General and Catalog fields) to configure extensions as you want. 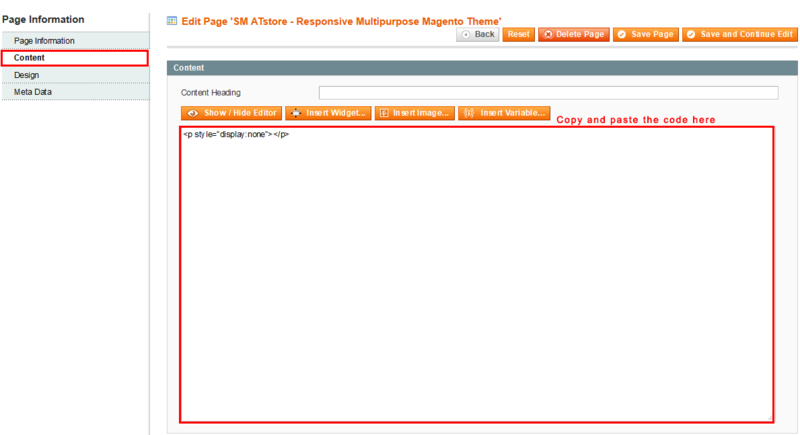 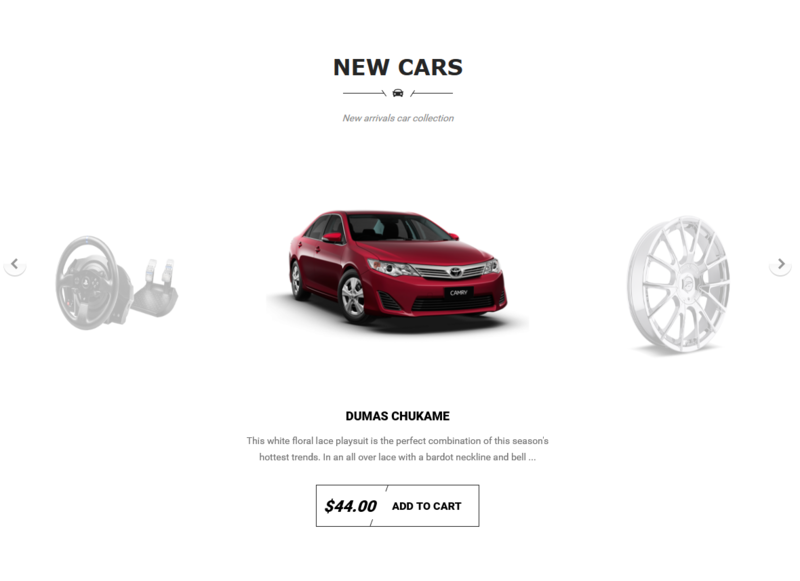 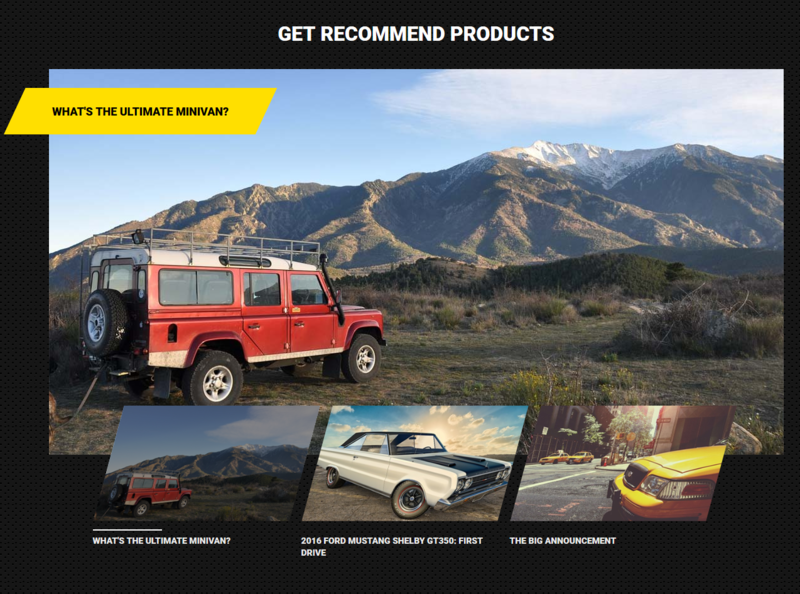 Go Here to readmore about the SM Gallery 3D module. 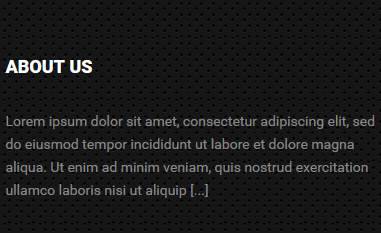 "Sed ut perspiciatis unde omnis iste natus error sit voluptatem accusantium doloremque laudantium, totam rem aperiam, eaque ipsa quae ab illo inventore veritatis et quasi architecto beatae.."